Are you in need of Portuguese translation services for your documents? 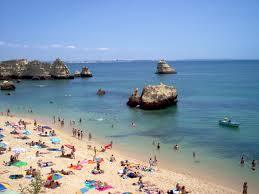 OPAL Translation offers the most affordable Portuguese translation services that are error-free and precise. With a team of NAATI certified Portuguese translators, we’re your #1 choice for Portuguese translations in Australia! Our team of experienced project managers and highly skilled Portuguese NAATI translators work tirelessly to provide a fast and high-quality translation of your documents. Whether you are an individual, business establishment or government department that’s looking for Portuguese translation services that are NAATI certified, you’ve come to the right place. The Portuguese Language has phrases and words, cultural information and colloquialisms that can result in a different meaning when translated to English, depending on the source of the Portuguese document. With OPAL Translation, you are confident that your translated document is free from embarrassing mistakes. Whether you need a Portuguese to English or English to Portuguese translation for the most simplistic or technical documents, you’ll always get the most qualified Portuguese NAATI Translator. OPAL Translation has a pool of highly skilled and experienced translators who are ready to take on your translations 24/7. Our amazing project managers and Portuguese NAATI translators never fail to deliver accurate Portuguese to English and English to Portuguese translation, with fast turnaround time and the lowest translation rates you’ll find in Australia. Let us know your needs via our live chat or simply fill in our inquiry form, and we’ll email you a free quote within 15 minutes. Portuguese is mainly spoken as a first language by more than 170 million people in the world. 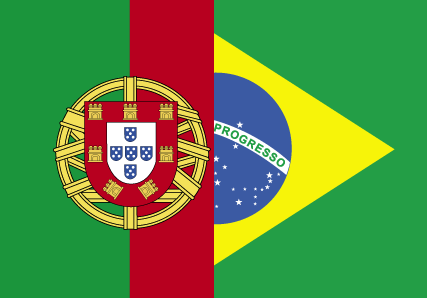 Portugal, Angola, and Brazil are some of the countries who declared Portuguese as an official language. The Portuguese language is the 7th most spoken language on the planet. Around 240 million speak Portuguese with 210 to 215 million as Portuguese native speakers. Are you in a hurry? Avail of our Express and Instant Portuguese translation services and receive your translation in two hours! Plus, we’ll even send your one certified hard copy via Express Post Delivery. On average, our Portuguese NAATI translators can finish a translation in 2-3 business days. Complete the enquiry form on this page and tell us when you need your translations. We’ll beat your deadline and deliver your NAATI stamped translation in no time. For as low as $69, we will provide you with a high-quality NAATI accredited professional Portuguese translation. However, prices may vary depending on the schedule, language, and availability. You can check our indicative prices below. Get an exact quote when you fill up our enquiry form, and send a scan or photo of your document. Our Portuguese specialists will assess your document and send you a detailed estimate via email within 15 minutes. For translation of Portuguese documents into English, the majority of 1 page documents used for immigration purposes are deemed as ‘standard documents’ and are priced at a flat rate per document. Get your document translated with us by completing the enquiry form on this page. Avail of our Portuguese translation services and get a free quote within 15 minutes by completing the form located on this page.